Featured Properties: The Domis Teams listings in La Habra, La Habra Heights, Whittier, La Mirada California, and the surrounding areas. New Listings By Email: Use The Domis Team's free system that sends automatic updates straight to your email with new listings from the MLS that meet your specified criteria. Find Whittier Real Estate, La Habra homes for sale, La Habra Heights Homes and homes for sale in the surrounding area by giving us information on your specific wants and needs. Search the MLS: Search the MLS for Whittier Real Estate, La Habra homes for sale as well as homes for sale in La Habra Heights and the surrounding areas in California. What's Your La Habra or Whittier Home Worth? Receive a complimentary analysis of your home's approximate present value on the market today. Neighborhood Information: The Domis Team has information on many Whittier neighborhoods, La Habra neighborhoods and La Habra Heights Neighborhoods. Real Estate Buyer Tips: Linda and Tim Domis and The Domis Team's real estate tips on things to look for when buying a home. 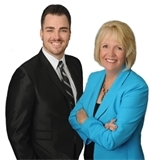 Real Estate Seller Tips: Linda and Tim Domis and The Domis Team's real estate tips on things to ask when selling a home.